The thread purpose is to discuss what the community will like to see in the different sections of the explorer. Please note this is a pure dev version with bugs all around that i will be fixing, there is no guarantee the explorer will be up all the time either in this stage specially while making changes. The technology behind and all that will be explained but i will like to get more input in regards to what to put here and there, ill take care by now on how to do it. - block number - updated as operations came in real time, i think this is important and should stay. 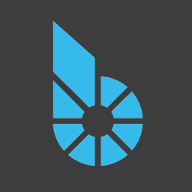 - new users: is the accounts that the bitshares network made since the last maintenance time up to now. change to ? - bts market cap. change to? - 24 hs volume of bts/btc. change to ? then we have the operation types chart. the plan was to have the types in current maintenance interval plotted but not sure if is relevant. - keep the chart. this is the dashboard, if we keep the chart there it needs to plot the most relevant data a bitshares user may want to see. - chart can be removed and replaced with 4 more indicators. if so, what will be the complete list of 8 indicators the community will like to see here? i don't suggest more than 8 indicators(or 4 and the chart) as it will push the real time operations table too much to the bottom of the page. - i think it should stay as it is but open to suggestions to add/remove any column. if anyone want to suggest the operation colors please send color for each op in hex format(#FFFFFF = white). there is a lot to do but lets try to go over the dashboard first and move on section by section. What a wonderful initiative ! You may want to make a post about your project on steemit, I am sure lots of people will help and vote for you ! Ecellent. This is great and we very much need a good, stable and easy to use explorer. Its fundamental to the blockchain. Be great to have core charts that show how bitshares is growing and how individual businesses can see theirs. Thanks for this great initiative, at first glance seems like omniexplorer, one thing i like of cryptofresh is the wide space to see the transactions in real time this feature gives a sense of life at the blockexplorer, is something i miss from blockchain.info now seems pretty dead TBH as well as omniexplorer, i don't really know what suggest but please keep the real time transactions in the front page. I would recommend to take a look at xrpcharts.ripple.com. Ripple ledger explorer is pretty advanced. I think, it would not hurt to plagiarize some ideas from them. Looks good thus far, have you considered a worker proposal so you can spend more of your time developing this? please let me know what do you guys think. - NEW USERS - users registered in current maint interval. - operations - distribution of operations in current maint interval. - speed - i have a few ideas for this in mind to show network speed. will have a more clear pic soon. - top markets. show the most active markets in the DEX. - smartcoins: show the most active smartcoins distribution according to 24 hs volume. - uias: show the most active UIA distribution according to 24 hs volume. - bts exchanges. show volume of bts in different exchanges. the table has remained the same as in previous version. all comments welcome, everything can be changed! only dashboard suggestions are welcome by now, other sections will be discussed later. pushing hard to have version 1 ready in 1 month from now. the dev version in port 9009 will continue up for now but please use http://bitshares-explorer.io/, should be faster and with less bugs. i am now in the last stage of version 1. this is some code cleanup, documentation and release of open source explorer so the community can mirror, help in the development and all that. i will maintain the explorer repo so any suggestion/feature will be considered. more news will came soon.